Twist and spice. 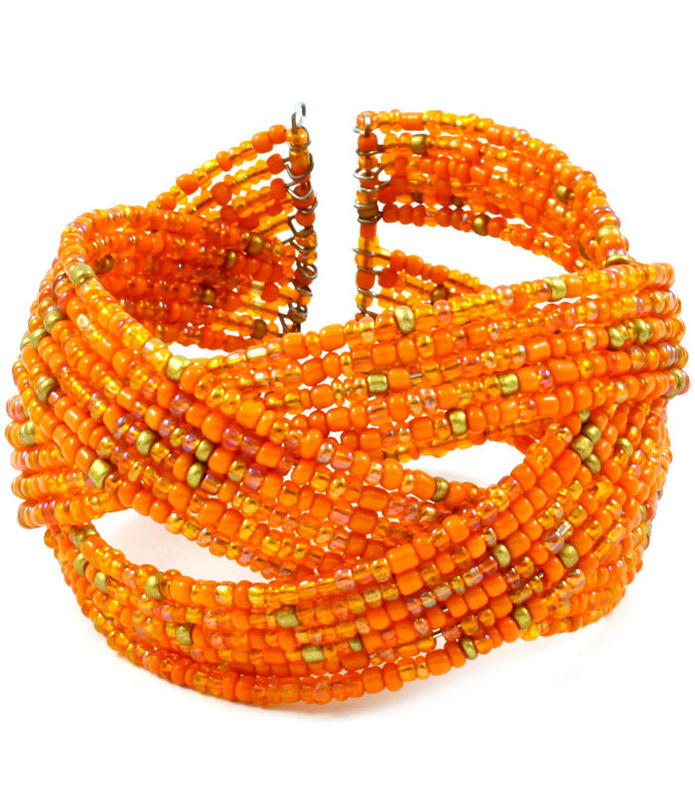 The Madison bracelet creates an interesting silhouette in an interlocking weave of multi-strand Moroccan orange and matte gold seed beading on wire. The focal point of any light and bright look. Are you looking for quality and affordable cheap jewellery? Check out our Clearance Shop today.